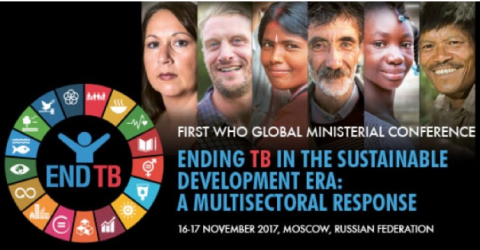 Ministers, leaders of UN organizations, NGOs, civil society, academia and the corporate sector, will gather in Moscow on 16-17 November 2017 at the first WHO Global Ministerial Conference to end tuberculosis (TB). The Global Ministerial Conference aims to accelerate country implementation of the WHO End TB Strategy in order to reach the End TB targets set by the World Health Assembly and the United Nations (UN) Sustainable Development Goals (SDGs). The Ministerial Conference will inform the UN General Assembly High-Level Meeting on TB in 2018. Please note that participation in this Conference is by invitation only.